3-2. Godfather Don. Charizma. 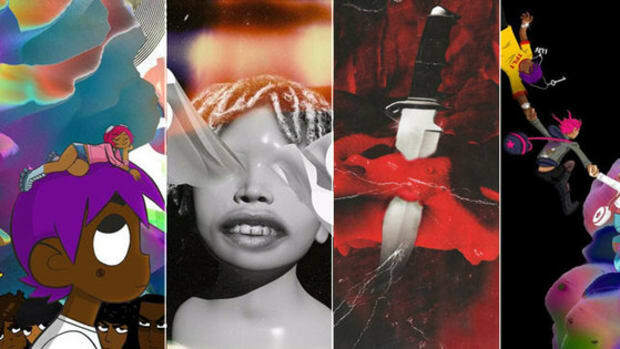 Despite being separated geographically, chronologically and thematically, they all carry the trait of being an unsung hero in the story of hip-hop. Unsung heroes are compelling. They give us hope that, despite how little we may think of our work now, history can assign more significance to our name. This is a story of unsung heroes living among us, whose names I do not know and probably shouldn’t. They’ve been in my periphery for about a year and we need them now more than ever. I’m speaking, of course, about Lil Uzi Vert’s bodyguards. While I would never dare to compare their net historical impact with the artists listed above, rap is full of behind-the-scenes players who make it possible for us to enjoy artists’ music and live performances. 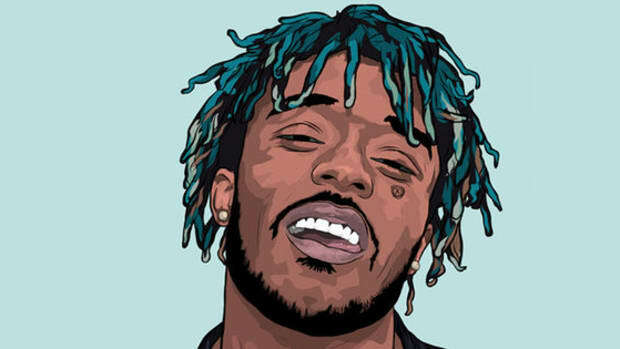 In this case, they keep Lil Uzi safe from the mass of fans who don’t always seem to have the Manson-inspired artist’s best interests in mind. I’ve been noting their presence and influence for a while, but it was the above recent Instagram post by Lil Uzi that confirmed my desire to document these men and their work. 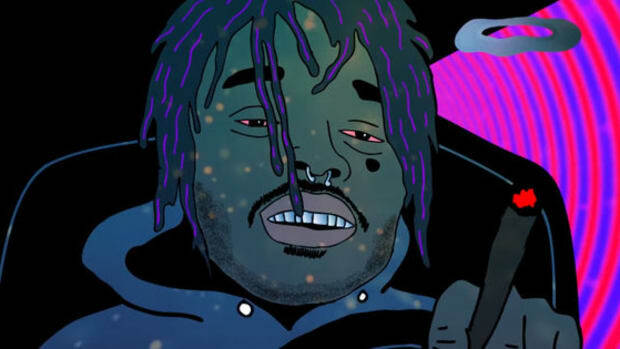 In the video, we find Uzi flipping into the first few rows of his crowd, though we’re left wondering how he gets back to safety. While Uzi landing a Swanton Bomb and popping up is impressive and destroys any of my old attempts at trampoline wrestling, with each view I’m more intrigued by the man in the blue jacket leaping after him at the close. If you pay careful attention and watch the video a few times, you’ll also notice the bearded man in black between the crowd barrier and the stage. From what I’ve been able to discern, the man in black (for clarity’s sake let’s call him Mr. X) is an older bodyguard, while the other brave soul jumping after Uzi (whom we&apos;ll call Mr. Y) is a newer addition. It makes sense that Uzi’s people would want more than one set of eyes at work. To chronicle the work of these men, and hopefully solidify their impact for time immemorial, I’ve documented instances of their valor which include, but are not limited to, bulldozing teenagers, stiff-arming stans, jumping fences, running a 4.3 40-meter, taking stock of jewelry, and making sure that rap’s current King of Rage can go just as hard at the next night’s set. The cover photo for the piece was chosen, in part, because it’s the complete picture of a day in the life of Lil Uzi’s bodyguards. 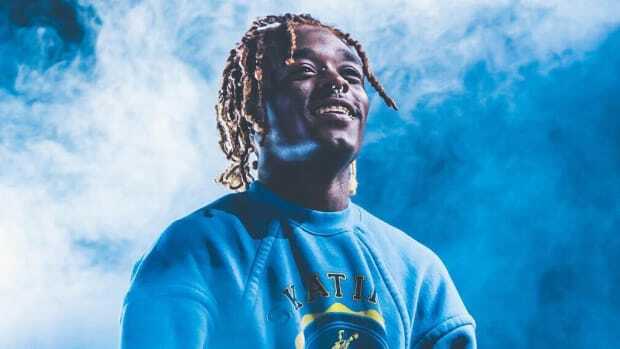 It captures the reckless abandonment of Uzi, the fans so camera-obsessed it makes you question their motives for chasing him and the resolve of the man who will do everything in his power to keep his client safe. The inaugural year of Chance the Rapper’s Magnificent Coloring Day music festival was very enjoyable. I remember streaming Lil Uzi’s set before leaving to clock in at work that day. It was also the reason I downloaded TIDAL and the first time I noticed Mr. X. When Uzi first runs out onto the stage there are two people with him, but neither act like you would expect from on-stage accompaniment. The first person is the reason we have the above footage. But the other guy, dressed in a blue hoodie, was posted a few feet behind Uzi, angrily glaring at the crowd. I figured he must be a bodyguard, keeping an eye out for any teens trying to make a grab at Uzi. That explains his almost painful stoicism. I didn’t think much of it at the time, besides it being humourous, but an Instagram video from backstage confirmed that the guy in the blue hoodie was more than just security for the event. I did not realize how important he would become. Fast forward a couple of months and I’m attending a Lil Uzi show in Charlotte, NC. This was when I noticed the phenomenon in person. Shortly after the video picks up you see a man on the left side of the stage, this time sporting a black jacket. Guess who? Mr. X! 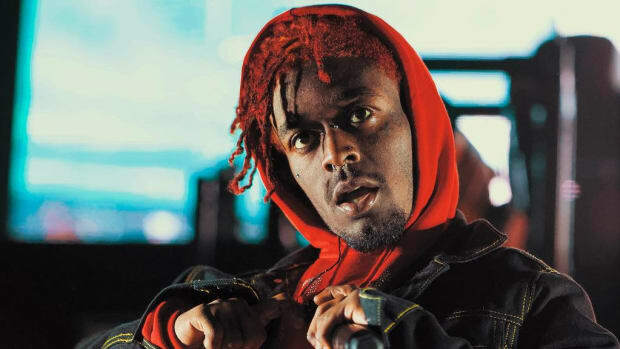 He paces back and forth across the stage with the same intensity as the MCD appearance, trying to anticipate Uzi’s inevitable merge with the crowd. Mr. Y is here too, who I never noticed until I started researching for this article, but he’s shorter and stockier than our original subject. He and Mr. X flank Uzi, both donning black jackets to hammer home the message “we didn’t come to play.” At the conclusion of the show, I saw the two frantically running off stage to keep up with Uzi, who decided to end his set by running out the front of the venue, causing his overzealous fans to wreck the merch table in their attempts to catch him. All I remember seeing was the shirt stand tumbling over and the doors of the venue flying open. I wish I knew how they did it, but the only thing that matters is that Uzi lived to rage another day. Mr. X and Mr. Y can be seen standing next to their client at the beginning of Uzi’s most infamous set thus far. Mr. X disappears into the shadows shortly thereafter, but I’m certain he was right there when Uzi leaped off of the production tent just minutes later. Just before Uzi made another move off the top rope, you can see Mr. Y urging him to get down from the unstable tent. 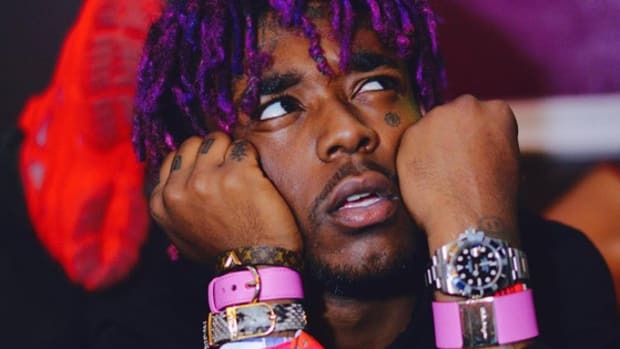 He quickly realizes that Uzi isn’t going to heed his warnings and resigns himself to catching his jewelry instead and protecting his Marilyn Manson and YSL chains. What happens after that is Uzi history. The last shot we get of Mr. Y before the cameras fail to keep up with the madness is him jolting for the railing. 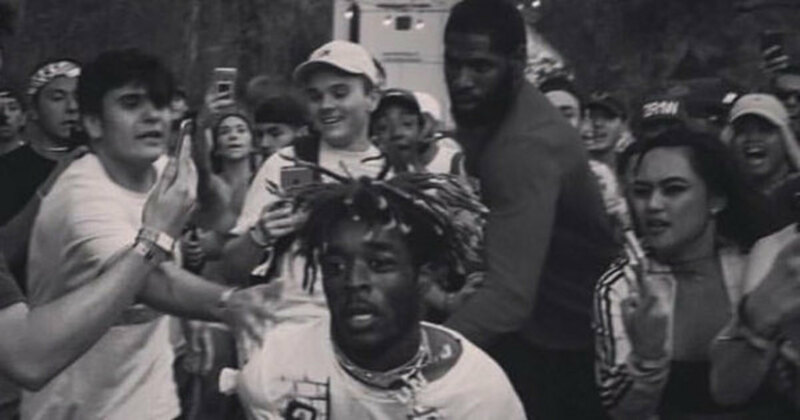 It’s unclear how Uzi got out of the crowd but, if you look closely as he runs back to the stage, you can see Mr. X and Mr. Y sprinting behind him. 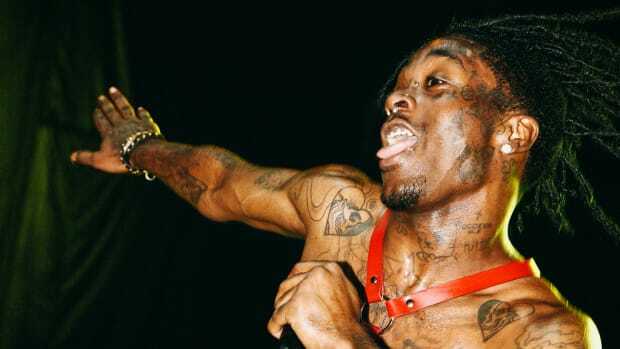 After Uzi gets back onstage here, as the microphone is returned to him, we see our silent hero Mr. X leap back behind him and glance at Uzi to ensure the rapper isn’t heading back into the chaos he created. Here, fresh off his Rolling Loud performance, Uzi performs at the Riverwalk Amphitheatre in Augusta, GA. I grew up 15 minutes from this venue and remember it as the site of my senior year prom photos. I’m glad to see it’s being put to better use. Shortly after the start of the video, Uzi leaps into the crowd from the top of the stage scaffolding. I must commend Uzi’s fanbase for their dedication to not dropping this man because, as always, the crowd willingly plays its role as a shifting trapeze net. As he makes his way back to the stage and out of the frenzy, who else is there to lift him back to his designated area but Mr. X. As much as I’ve been trying to avoid it, Tyler Durden’s words, “WE PROTECT YOU WHILE YOU SLEEP!” keep echoing through my mind. It’s easy to forget the people who do the dirty work that allow our favorite artists to focus on performing. It’s a thankless job and often, judging by fan interactions in these videos, an unwelcome one. Away from the frenzy of the mob, though, it’s clear that Uzi’s silent protectors deserve praise and recognition. They’re not clawing for the spotlight, but it’s our job not to let good work go unnoticed. If I never know anything else about Mr. X and his multiplying gang of protectors, I know they’ll be there in the background. You may not know Farris' name, but you're definitely familiar with his hip-hop contributions. 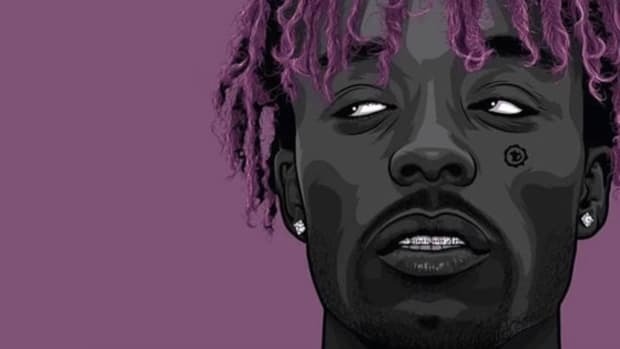 Lil Uzi Vert Tries to Uplift Young Rappers By Reminding Them Old Rappers "Must Die"
Can we please stop furthering this old v. young mentality?